Would you like to follow Fässle ? You're following Fässle and will get its daily lunchtime offers on your start page. French and international cuisine, which is characterized by great attention to detail and fine flavors. The basis of our dishes is the brainstorming. Of course, I let myself be inspired by my French origin. My involvement with traditional haute cuisine as well as modern, international gastronomy also play an important role. But you should not lose sight of the elemental. That's why I let myself be inspired by the varied offer of the beautiful weekly markets in Stuttgart. Only high-quality products can conjure up fine food. For this reason, the quality of the products is particularly important to me. The ingredients should not only develop full-bodied, but at the same time merge into a noble composition. A fine selection of fresh herbs and delicate spices complete my dishes. We do not just want to spoil your taste buds, but also your eyes. Therefore, I attach great importance to the accurate alignment of our food. The enjoyment is complemented by a careful selection of local and international wines. 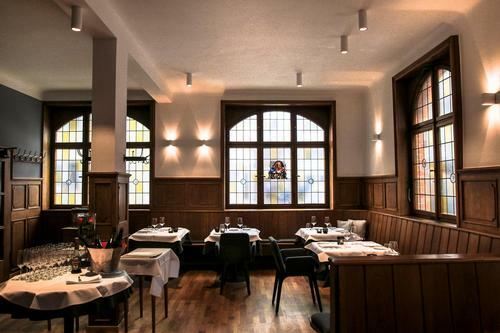 In particular, I am pleased about the cooperation with Insa Breit, the restaurant manager. Also on the advice of the sommelier Bernd Kreis from Stuttgart.